November | 2008 | The S.E.E.P. It seems that the Bush Administration is trying to get a few more jabs in before heading out of office, making our nation even more unsafe and removing regulations that keep our citizens healthy. 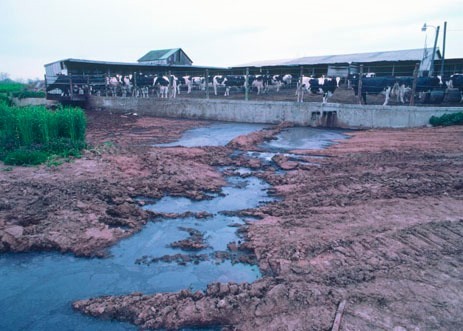 According to the National Resources Defense Council, on October 31st, the Bush Administration signed a rule that exempts factory farms from needing permits that limit water pollution runoff. Modern factory farms, also known as concentrating animal feeding operations (CAFOs), besides being generally cruel to animals and foster antibiotic resistance through unregulated use, also generate huge amounts of untreated liquid and solid waste from livestock that are forced to live in confined areas. This rule will keep authorities from having to regulate this waste, which will contaminate waterways and other farms, and will undoubtedly lead to further public health crises similar to the E Coli outbreak that we just had in September of this year. The recent national outbreak of E Coli O157:H7 in spinach was quickly traced back to farms in Salinas Valley, CA, and is a stark reminder of the importance of maintaining a working and vigilant public health system. It demonstrates how disease tracking and data collection is imperative as a foundation for this process, with rapid action taken by public health field workers to isolate and stop the spread of disease outbreak. Local physicians and healthcare professionals reported cases of patients with diarrheal illness consistent with a possible E. coli O157:H7 outbreak to their local public health departments. Through the national public health system network, these departments, in turn, reported the illnesses to the CDC (Grant et al, 2008). The CDC was able to quickly recognize a pattern and made a public announcement of the outbreak on September 13, 2008. A study was initiated the next day by the public health departments of Utah and New Mexico, which isolated and contained the source of the outbreak, and within 2 weeks had hard evidence implicating spinach grown in our state that had likely been contaminated by runoff from local cattle farms. Not only did the public health system discover the cause of the illness, but it then was able to help draft policy changes encouraging improved sanitation that will hopefully decrease the risk of similar contamination in the future. Unfortunately, whatever we learned from this and similar incidents will be undone with this exemption in waste regulation. This is an excellent example of how corporate pressure influences the government to make irresponsible decisions. The economic pressure from factory farms has overcome the health risks to citizens caused by unregulated waste runoff. The state public health departments, the FDA, and the EPA must review this rule and take political action to prevent the increased public health risk that it poses. Vote: No Bailout For The Auto Industry. Unless. . .
Ok, so first we’ve thrown hundreds of billions of dollars haphazardly at banks, much of which they’ve already hoarded, squandered, and rearranged, rather than taking a few weeks for our government to carefully draft an educated and well-thought out plan to mediate the value to loan ratio problem, devalue existing loans to help foreclosing homeowners restructure debt, and tightly regulate the use of said taxpayer dollars to avoid the current system of lining the pockets of the greedy lenders and traders who were gambling away everyone’s debt and 401k money. Now we’re talking about bailing out three companies, who no matter how “Downhome American” and “Heartlandy” they are, have spent the last half century manipulating the American public through engineered obsolescence and ruthless marketing campaigns to sell the biggest and least efficient vehicles, partnered with oil companies to actively fight emissions standards and efficiency requirements, have purposefully withheld technology that would improve mileage and save fuel, have killed California’s zero-emission legislation through legal actions, failed to have any concern whatsoever for the growing climate change and peak oil crises, and have allowed their own greed and obliviousness, purposeful or not, to lead to their own downfall. The ONLY way we should give any money to the U.S. Auto industry is if they are required to use these funds to completely revamp their lines to include only vehicles that are electric, are compatible with modern biofuels, or use some other type of renewable and low or no emissions fuel. They must also begin large initiatives to convert existing vehicles to run on one of these fuels. The beauty is, that this is in reality a fairly easy proposal: Most modern gasoline engines can be easily modified to run E85 or natural gas, every diesel can run on 100% biodiesel (it’s just not covered by warranty) and can easily be modified to run on vegetable oil. Pretty much any vehicle chassis can be easily converted to run on electricity, using standard golf cart batteries to go more than 40 miles to a charge at highway speeds, more than enough for the vast majority of daily drivers. With minimal training and barely adequate electrical skills, I’ve even been thinking about building one in my garage. The “Big Three” have much smarter people than I with much more mechanical knowledge,and they have much, much. . . MUCH bigger garages. For that matter, I can think of quite a few things we can do as well with that 813 billion (in tax breaks and funds) Congress has already authorized to bail out Wall Street. How about we pay our craftsmen and builders to learn about energy efficient and eco-friendly building techniques? Why don’t we start a national solar loan program that gives anyone who wishes a low interest loan to get solar water heating and photovoltaic panels? Why don’t we reteach and train those losing their jobs how to grow food, how to farm energy, how to retrofit homes for efficiency, and other skills? Why don’t we help towns and cities rebuild their energy infrastructures to make clean power, ethanol, and biodiesel from waste streams and utilize resources efficiently? We need to use this money wisely in a well-designed renewable energy “New Deal” for our country to build a sustainable infrastructure for a future of economic prosperity, food security, and clean energy. We’ve done it! 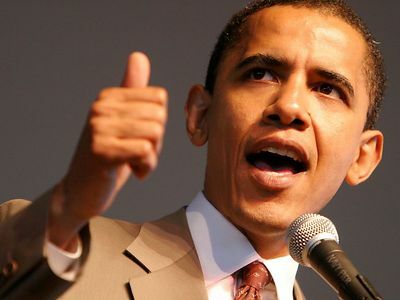 Elected a man whom we hope has the integrity, the intelligence, and the vision that he’s shown us in this election race. If you haven’t watched his acceptance speech yet, it is truly inspiring and makes me, for the first time in years, proud to be an American, with hope that we can once again live up to the ideals that we were founded upon – freedom and justice (and sustainability) for all.